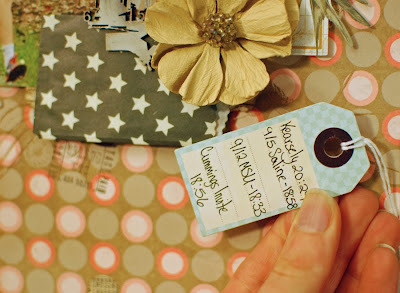 I absolutely love little tags and envelopes. So when I saw the fancy pants tags and envelopes in the store, I knew I had to use them and I knew exactly what to use them for. I have TONS of pictures of my oldest son Roman running cross country over the years. So this year I decided to record his running with a LO. I enhanced the paper by stamping with Frayed burlap ink using various stamps around the area where I wanted to layout my cluster. In the envelopes, I placed the tags where I wrote his time and the dates of each of his races. For the title on the bag, I used Making Memories rub ons. This tag is too adorable on the front so I wrote his times on the back. 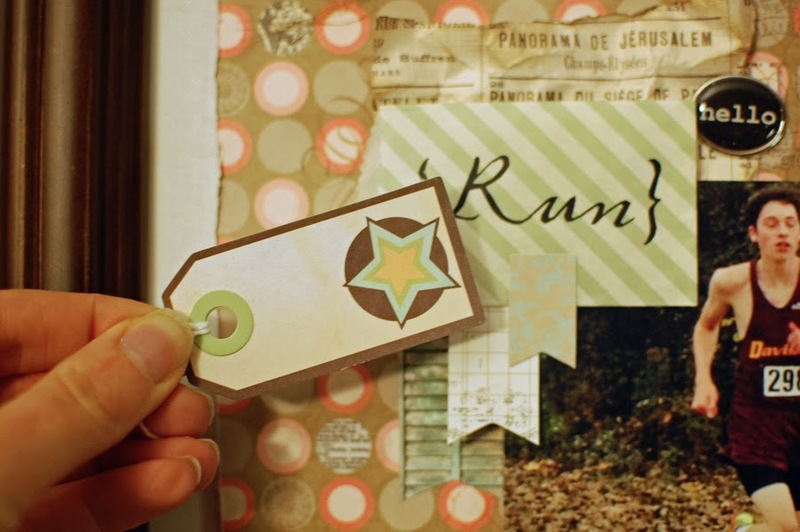 Check out these great embellies in the store for recording your journaling on your pages and happy scrapping! I discovered your blog though a friend...Marybeth! I just wanted to let you know how much I enjoyed a stroll through your blog. You are such a great artist! I make cards and never think of myself as an artist, but you are in a whole different league!I also really loved your scrapbook layout with your son. It was crazy good! Love seeing the scrapbook layouts and this one is wonderful! Great use of those tags...love this!! 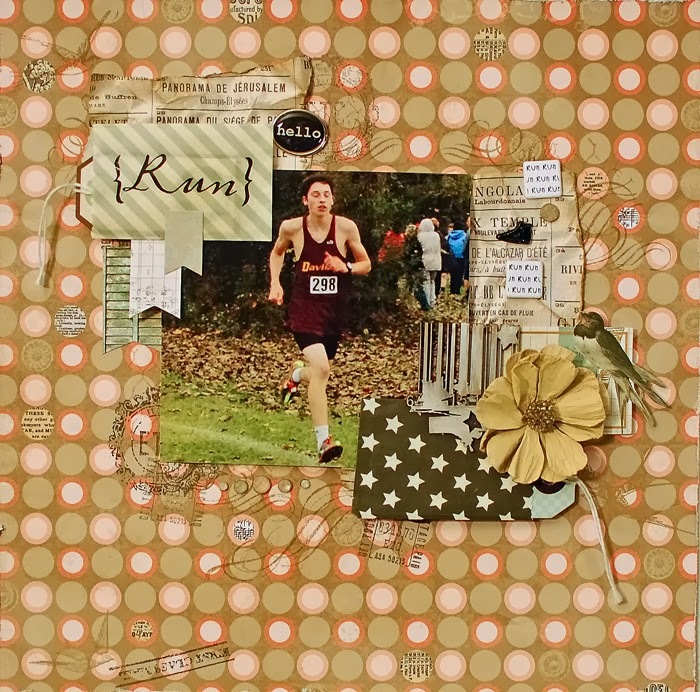 LOVE all the layers and tags on this FAB layout, Andiepants! Great photo of your son! I love how you use all those tags and bits and pieces and create these wonderful layers. Awesome layout!!! !